Located in the Silicon Valley Northern California, Mariner Advanced Pharmacy Corp (MAPRx) provides a variety of pharmacy services, including retail, compounded, infusion prescriptions. The facility is state-of-the-art and uses only pharmaceutical ingredients produced by FDA-approved entities. We employ the strictest USP standards in order to safely compound the exact specifications of the prescription. MAPRx and our pharmacists are highly trained and are backed by a team of consulting pharmacists and chemists in the industry allowing us to personalize a wide range of medication dosage forms; from suppository and lozenges, injectibles to veterinary medications. 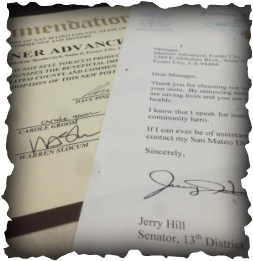 MAPRx and the Staff is committed to operate at a level of quality, integrity, and effectiveness consistent with theUSP & ACHC Accreditation Standards. ​MAPRx was named the 2016 Family Business of the Year Award by the San Mateo City & the Chamber of Commerce. 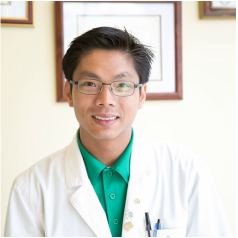 Henry Truong has been a practicing pharmacist for more than 15 years. He attended UC Davis for undergraduate, MCPHS, Boston for his Doctor of Pharmacy Degree, and CSU,East-Bay for his Master's Degree in Health Care Administration. Prior to co-founded MAPRx in 2012, Henry was employed as a clinical pharmacy specialist for several hospital institutions. He is the only few pharmacist earned Fellow & Diplomat of the Metabolic Medical Institute in northern California specializing in Anti-Aging & Functional Medicine. He is a former Advisory Council Member of the Professional Compounding Center of America (PCCA), the member and guest speaker for California Pharmacists Association (CPhA), and the International Academy of Compounding Pharmacists (IACP). 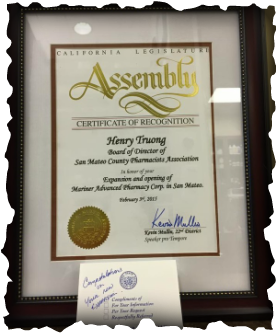 As a compounding pharmacist who shares “a passion and fire for the art of compounding," Henry is nationally recognized by his peers. He was named the recipient of the George Roentsch Award 2016, an honor that recognizes an outstanding compounding pharmacist who embodies the innovation and sharing nature of George Roentsch, a well-known compounding pharmacist in the industry.